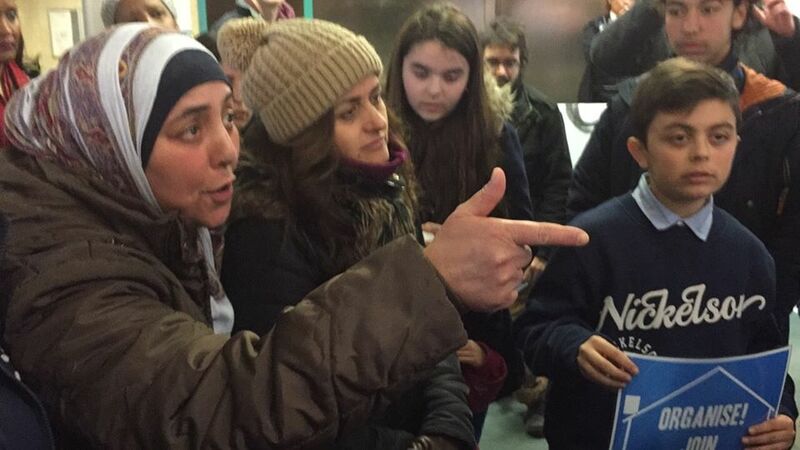 Last weekend I went to visit a community of families who, until a month ago, never considered themselves activists. They are now political squatters, staging an occupation of the soon to be demolished estate of Sweets Way in Barnett, North London. The tenants, many of whom were previously homeless, have lived there for 6 years. Some are being forced to move out of London to Wolverhampton if they want to be re-housed. If you dont live in Barnett, if you are not in need of housing and if you are not a squatter you may think this has nothing to do with you. Think again. Barnet has become a ‘test borough’ for the sell-off of the functions of local government to a corporation called Capita. Unless resisted, what is happening here in Margaret Thatcher’s old constituency, will be rolled out across the country. When they privatised Barnett’s planning department (yes you did read that correctly), developers started “rubbing their hands” says Mark, an activist at Sweets Way who works in a local nursery due for demolition. “They have started selling off public facilities for private development, including schools, community centres, libraries and care for the elderly and disabled. The company redeveloping the estate, Annington (part owned by tax exile Guy Hands worth an estimated £250 million) looks set to make a killing on the London property market. Only 20% of the new properties are being leased as ‘affordable rent’ (80% of market rates). it beautiful. Meanwhile a new property – a five bedroom at 76 Oakleigh Road North, owned by Annington as well, but just beyond the injunction and possession zones – had been occupied and filled with all the makings of a new social centre! As somebody who spent two years living in squats, occupations and social centres, I have to admit that we never achieved the same level of popular support that the families of Sweets Way, and their sister project the E15 Mums in Newham have enjoyed. 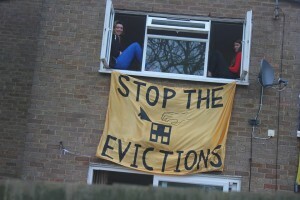 As with E15, the occupation was made in alliance with squatters. Some of the squatters have been occupying places in Barnett for a number of years. 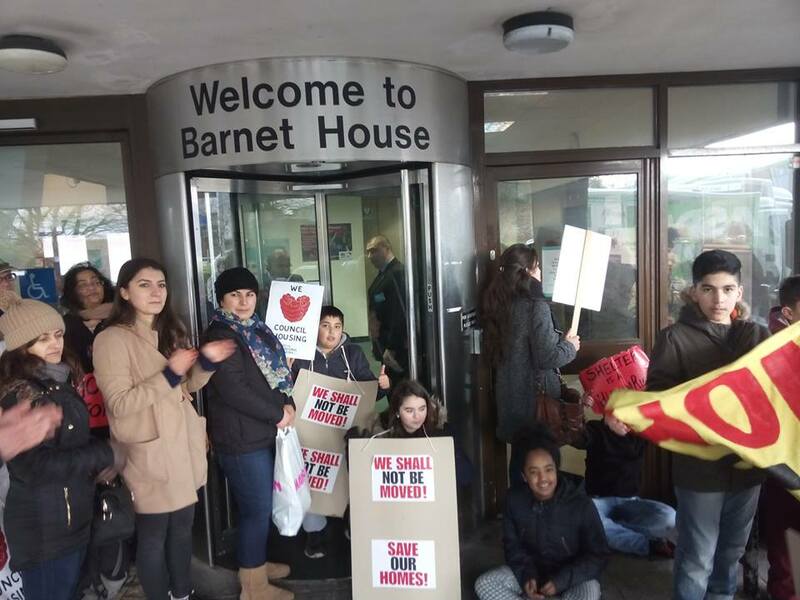 Many will remember the famous Friern Barnett Library which was saved from closure by an unlikely alliance of squatters from Occupy London and conservative voters. Then there was the encampment on the front yard of local MP Mike Freer MP who helped spearhead the criminalisation of squatting in residential buildings. Later there was Our Bohemia, in which the closed Bohemia pub was reopened by squatters and turned into a thriving community hub. I had the pleasure of playing there two years ago. 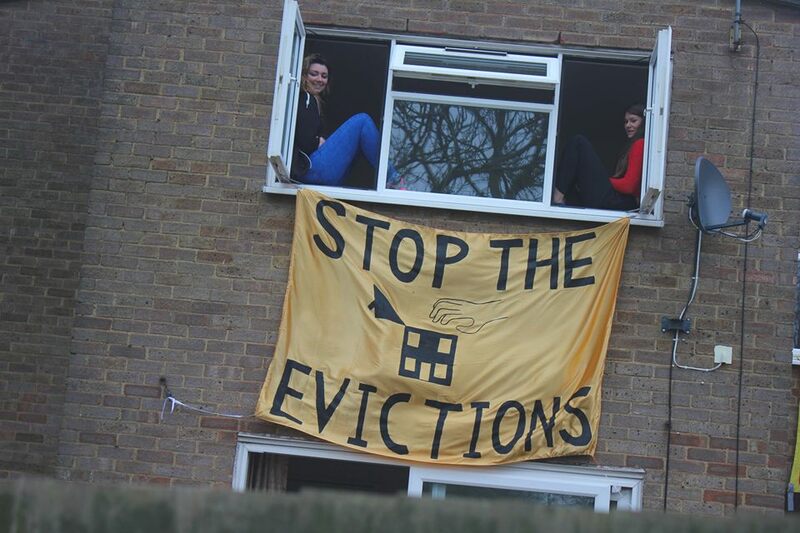 These sort of alliances of direct action are now popping up all over London, many under the banner of the Radical Housing Network. The spirit of resistance taking place in Barnett deserves all our support. They are the test case we can roll out across the country. Polar Bears Invade Heathrow Airport Workfare, Forced Labour and the new ‘Business and Community Wardens’.